When most people think about cosmetology careers, they usually think about salons and barbershops and the different professions practiced there. Many of the people involved in the cosmetology field have careers as hairdressers, barbers and nail technicians and many of them can be found at salons, but there are many more career options in the field, too. These include estheticians, massage therapists and makeup artists, with jobs located in spas, photography, television and film studios and even medical offices. Most cosmetology professionals work in salons and barbershops as hairdressers, hairstylists and barbers. They are responsible for analyzing clients’ hair, advising clients about hair styles and treatment, washing, cutting, drying and styling hair and making sure their work area is always clean and the tools are sanitized after use. Hairdressers and hairstylists also offer coloring services. Barbers, hairstylists and hairdressers must be state-licensed before they can practice. To do this, they need to complete a training program, which can last about nine months and pass a licensing exam. According to the Bureau of Labor Statistic’s Occupational Outlook Handbook, professionals in these positions were earning an average of $22,500 per year as of May 2012 and had a healthy job outlook of 14% growth from 2010 to 2020. Some cosmetologists specialize in skin care and build a career as estheticians. Estheticians work closely with clients to evaluate the clients’ skin care needs and offer the appropriate treatment and products. Some also advise clients about makeup and teach them how to apply it. Estheticians work in salons, spas and even medical offices. Positions in this field are projected to grow about 25% from 2010 to 2020. The median income for skin care professionals was $28,920 per year. Prospective estheticians must complete a formal training program, which can vary in total hours depending on the state, and pass the licensing exam before they can acquire their state license. Another popular career choice for cosmetologists is as nail technicians, also known as manicurists and pedicurists. Nail technicians are responsible for offering products and services to clients, cleaning, trimming, filing and painting nails, applying artificial nails and massaging the hands, arms, feet and legs of clients. While some nail technicians work in stand-alone nail salons, others work in regular salons, hotels and spas. Some are independent workers who visit clients’ homes to offer their services. Like other cosmetology professionals, nail technicians must be state-licensed. To earn a license they must complete the state-approved training program and pass the state licensing exam. Median pay in 2010 for nail technicians was estimated at about $19,650 per year, with a projected growth rate of 17% from 2010-2020. Massage therapists are also cosmetologist professionals. A career in massage therapy means getting to know clients to determine their concerns, needs, medical history and goals, locating tense areas in the clients’ bodies, working with muscle and soft tissue to manipulate it and help clients relax and advising clients about correct posture, relaxation, stretching and strengthening movements and treatment. Most massage therapists work as freelancers and visit clients’ homes for service, though some also work in salons, spas and sports and healthcare facilities. Massage therapists in most states must complete a training program of at least 500 hours and pass a licensing exam to receive a license or state certificate. As of May 2010, the median yearly salary for massage therapists was $34,900. This is a profession set to continue growing by an estimated rate of 20% between 2010 and 2020. Click to learn more about cosmetology career salary information. 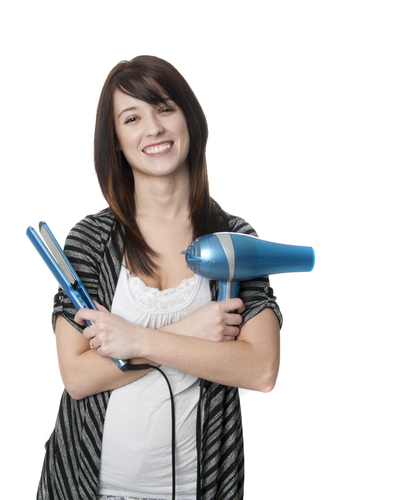 These are some of the most prominent careers related to cosmetology. However, professionals can further specialize in niche skills, such as special-effects makeup for film or television studios, or doing hair for theater actors or weddings. Cosmetologists can also choose to build careers as teachers at beauty schools instructing future professionals, or they can specialize in beauty consulting, promoting and selling beauty products and treatments. Additionally, some cosmetologists can choose a career in administration and manage barbershops, salons and spas. There are a number of beauty careers we did not list here, but the possibilities are numerous when it comes to working in the cosmetology industry.